I could coach this team better than Bob Huggins this year. 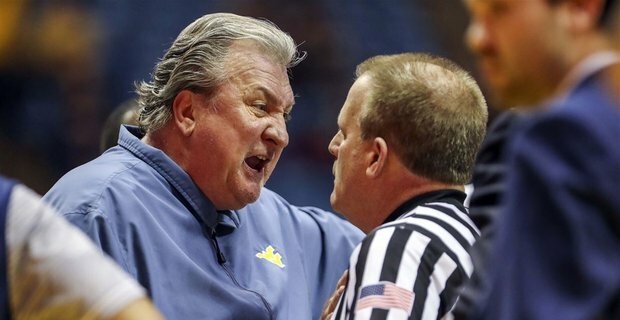 Bob Huggins has earned our respect. Our undying admiration of him and defense of everything he does makes perfect sense. He’s one of us, and he’s one of the best to have ever done it. Having said that, we would be perched right atop the Big 12 standings if I were in charge this year. To start, Teddy Allen, the best pure scorer we’ve had in the past decade (since Jerry West?) would be our starting shooting guard. Players with that level of ability and creativity do not come along often, and when they do, their creativity should be celebrated. Yes, he would often shoot terrible shots. He would have frustrating lapses in judgment. I would want to bench him and show him who the boss is around here and make him run on a damn treadmill. He would be a disrespectful 18 year old. He would say things in the media that would piss me off. He would also average 15+ points per game. He would be the player that we would go to when we desperately need points. Rather than relying on Esa Ahmad (so obviously miscast this season,) we would give it to Teddy, and he would give us a significantly better chance of scoring than anyone else. He would win us games. I wouldn’t have made promises to Sagaba Konate. I wouldn’t have told him that he needed another year to prove to NBA scouts that he can be an effective perimeter shooter. I wouldn’t have created sets to highlight his perimeter shooting. I wouldn’t have told the media that he was now, suddenly, an effective shooter who has been working hard on it. I would have been honest with him. He is an undersized 4 in the NBA and would likely not succeed there. Rather than sacrificing the first part of our season trying to make him NBA-ready, I would have told him the only way to get the attention of scouts is to keep being who he is. Konate was a dominant shot blocker, an aggressive rebounder and an improving post player. If I were coach, he would average 18-20 points, 10+ rebounds, and 3+ blocks per game. He would also be a late 2nd round pick in next year’s NBA Draft. If drafted by the right team, he would be a solid backup. Rather than stifling Jordan McCabe’s creativity, I would let him be the flashy player that led him to being named Wisconsin’s Mr. Basketball and a YouTube sensation. Dribbling the ball meekly up the court and passing it off to Chase Harler is nobody’s idea of a successful offensive possession. He would make passes that we’ve never seen in the Coliseum. He would occasionally throw it into the stands, but the pros would far outweigh the cons. He would not immediately be benched for the remainder of the game for a poor decision. He would inject excitement into our games and he would himself be excited about playing again. I wouldn’t be red-faced and sweaty and hysterical on the bench, nor would I grumble about the virtues of “getting in the gym early” (an amusing paradox for someone in Huggins’ physical condition), not-so-subtly pointing fingers at my players’ laziness and ineptitude in the postgame. No other coach in the country behaves in this manner, and for good reason – it’s ineffective. This mess belongs to Huggins. If I were coach, our team would be in far better shape. Beating Kansas would not lead to fans rushing the court; it would be expected.